Manufacturer of a wide range of products which include garden chair, frp garden chairs and park garden bench. FRP benches are proved to be best under any environmental conditions as it is corrosion resistance , as other benches like wood,cement, aluminium, or iron tends to get corroded, results in oxidization or Detroit . FRP benches offers you all these benefits and will never let your garden or your farmhouse looks bad. 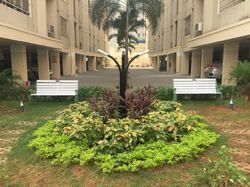 Tribenifiber Manufactures various different type of benches for purpose like garden benches, park benches, school benches, etc . Our fabrication team is always looking forward for any customization . Let your garden be environment friendly and rust free.